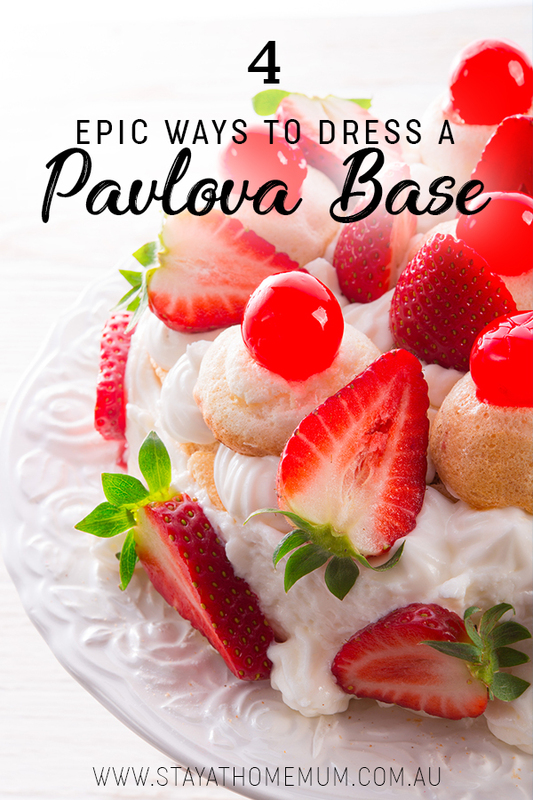 4 Epic Ways to Dress a Pavlova BaseThank you to Woolworths! 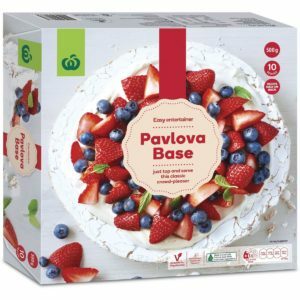 Aussies have been dressing pavlovas in all their fineries for as long as they have been available in a box! This year we thought we’d go that extra step further to show you some really schmancy versions of decorating pavlova bases. Every pavlova below has step by step instructions on how to recreate them, just click on the image and be inspired! Picture this. 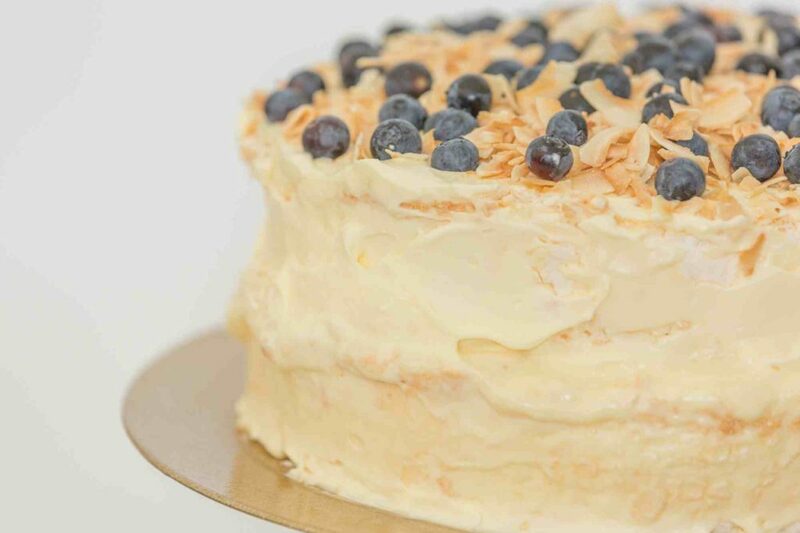 A double stacked pavlova, filled with Condensed Milk Cheesecake Mix and fresh cream, topped with candied coconut and blueberries. Click on the image for step by step instructions! This Pavlova is very Christmassy and Festive. 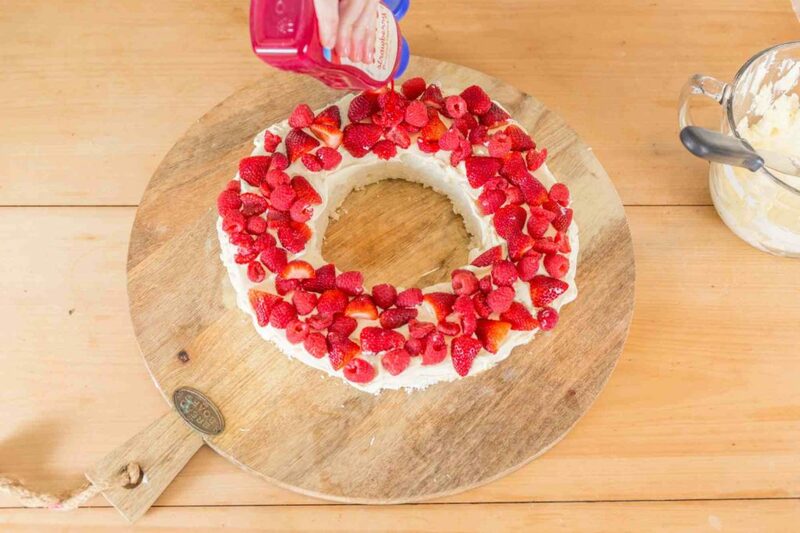 We used the really large Woolworths 1kg Pavlova Base for this one, removed the centre and then stacked it with berries. Click on the image for the step by step instructions on how to do it! 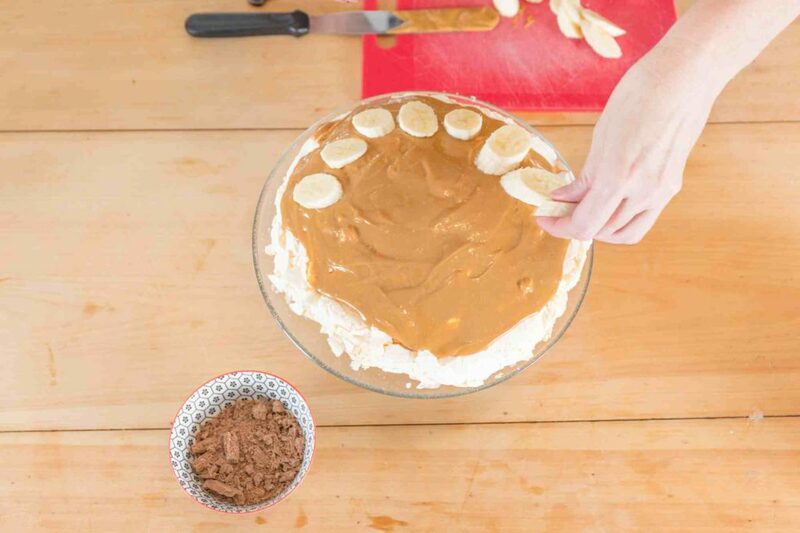 If you love Banoffee Pie – then imagine the caramel banana flavours with a delicious Woolworths Rustic Pavlova. To make the caramel, I just opened a tin of Nestle Top’N’Fill. Cheating – meh – it tastes delicious! 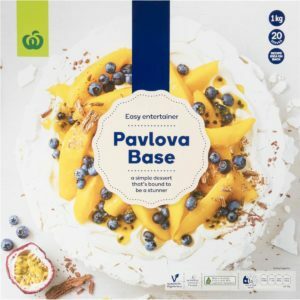 Ever worked your magic on a pavlova base and the magic just isn’t happening for you that day? No matter – welcome to the Eton Mess! 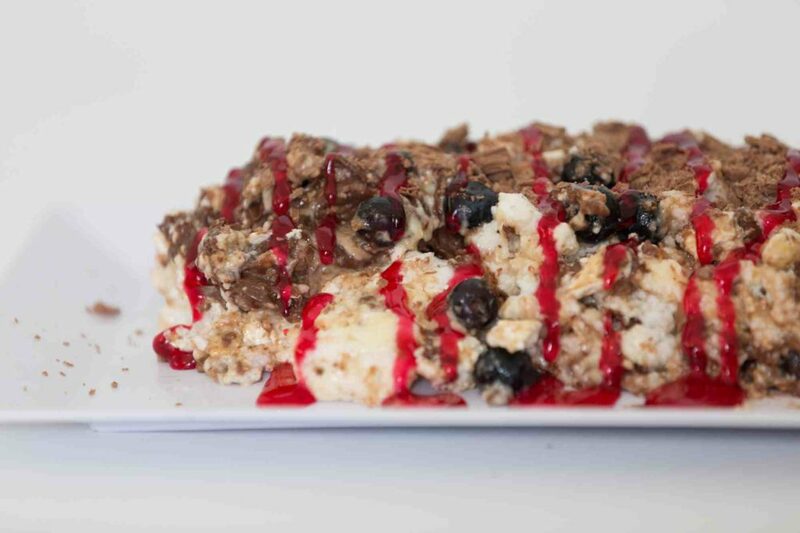 A gorgeous dessert of crumbled pavlova with cream, Nutella, crushed Maltesers, fresh blueberries and topped with a Strawberry Syrup. Click on the image for step by step instructions. So for a stress-free Christmas Dessert – go the Pav. A Traditional Aussie favourite that only takes a few minutes to throw together!